Today’s children often learn to play a video on a tablet before they utter their first sentence, and game applications are often more popular among our little ones than toy blocks. When the parents find out that a cute hat for a virtual doll has deprived their account of an amount exceeding the price of some real fashion accessory, they start taking an interest in the security settings and in what their kids do on the computer. With the increasing age of our offspring, the number of their online activities naturally increases. When they first sign up for an online game, the time is right to give them recommendations on creating a strong password, and their first tablet or computer should be accompanied by a well-meant advice on installing and regularly updating an antivirus software. At a later age, we start wondering how we can pull our children away from their mobile phones and computers and get them more into offline fun, including the games we played in our childhood. As our small contribution and an inspiration to those who want to combine the education in cyber safety with computer-free entertainment, we have prepared a security pexeso (memory game) as part of the Safer Internet project. It contains 32 unique pictures drawn by our graphic artist, Aneta Biskupová, who also draws the Tablexia game and the “How to Use the Internet” comic. Children and adults alike will certainly make use of the practical glossary in which Věra Mikušová explains every term in a very clear way, using the language that resonates with children. 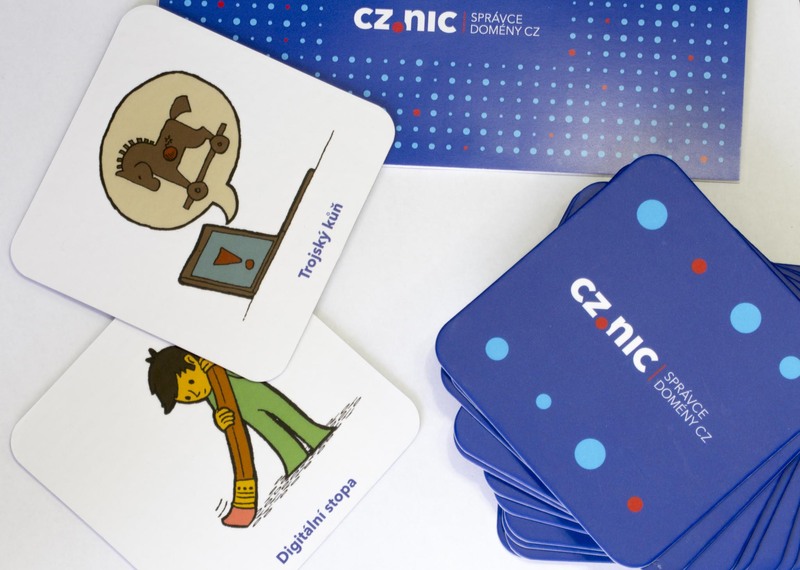 If you want to brush up the concepts and principles of cyber security together with your children in the spirit of Comenius’ “learning by playing”, you can download our pexeso with the glossary as a PDF file, print it, cut it and start playing without the risk of leaving a digital footprint of low awareness about phishing. For schools or organizations working with children, we have prepared a paper version of the pexeso on top quality cardboard and in a nice box. If you are interested, please write me your suggestions on how you would use the pexeso when working with children. We will send the pexeso to the authors of best 20 suggestio.